Wow, wow, wow. DEAR MR. KNIGHTLEY was a story I wasn’t sure what to think of at first. Samantha had a very rough childhood. The stuff of nightmares, and like Anne of Green Gables, she retreated into her books. She can’t seem to communicate without quoting lines from the old classics. Okay, it seems weird that most of the people Sam comes in contact with has also memorized all these lines and can tell you what book they came from. I mean, my guys can do that with movies. But I never heard women do it. And Sam was very rude sometimes, though I can understand where she’s coming from and why. I also thought that sometimes Alex was a big jerk as well. But then, they are flawed and human. Who among us isn’t? It made them more real. I did absolutely love her honesty in writing to Mr. Knightley. I figured out the truth of that relationship long before the end of the book, but it made the ending no less sweet. This was just a totally awesome book, it’s going on my keeper shelf, and I am anxious to read more by this author. 5 stars. $15.99. 336 pages. Meet the author: Katherine Reay has enjoyed a life-long affair with the works of Jane Austen and her contemporaries. After earning degrees in history and marketing from Northwestern University, she worked as a marketer for Proctor & Gamble and Sears before returning to school to earn her MTS. 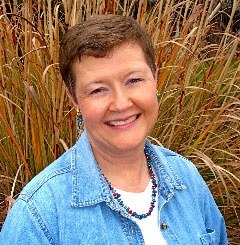 Her works have been published in "Focus on the Family" and the "Upper Room." Katherine currently lives with her husband and three children in Seattle. "Dear Mr. Knightley" is her first novel. Visit his website at www.incitefulpress.com.com. intensely personal exploration of shared experience and unlikely intersection. AMANDA WEDS A GOOD MAN is the first book in Ms. King’s newest series, One Big Happy Family. I felt for Amanda, struggling as a single mom with three children and marrying a wealthy man with five children. But Wyman wanted nothing of Amanda’s former life, her home, her things, her life, all had to go. He did make room for her mother-in-law and her children. But otherwise, the house and all the furnishings all belonged to his deceased wife. Difficult for any woman, Amish or English. Adjustment in any blended family takes time, and when there are eight children and a mother-in-law involved, even more so. Amanda wants to do the quiet pottery work she loves, but no one else takes her seriously. It’s just a hobby, you don’t need to do it. She struggled with the loss of her creative outlet along with all the other changes. One had to wonder how this couple—blended family—could possibly work things out for a happy-ever-after. 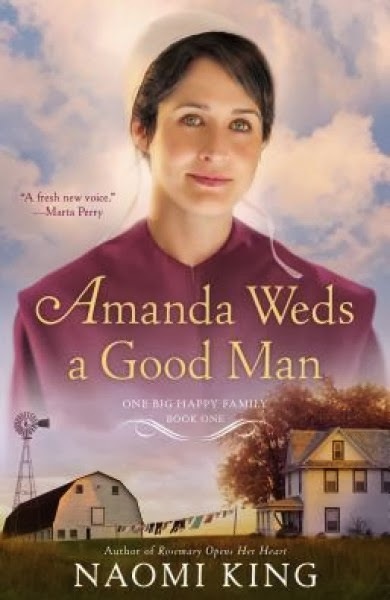 If you like Amish fiction, then AMANDA WEDS A GOOD MAN is a book to consider. Ms. King is a talented author, able to weave a story that moves along, and there is plenty of conflict to keep the reader reading. make a wonderful setting for Plain populations—and for stories about them, too! While Jamesport, Missouri is the largest Old Order Amish settlement west of the Mississippi River, other communities have also found the affordable farm land ideal for raising crops, livestock, and running the small family-owned businesses that support their families. sew and enjoy fabric arts—I made my wedding dress and the one Mom wore, too, when I married into an Iowa farm family more than thirty-five years ago! When I’m not writing, I crochet and sew, and I love to travel. As their laughter rose toward the high ceiling of the mercantile, Amanda relaxed. Wasn’t it just like these cousins to offer their home when she would never have asked another family to host her wedding? What a relief, to concentrate on moving her three daughters, Atlee’s mamm, and herself into Wyman’s home rather than also having to prepare for a couple hundred wedding guests. 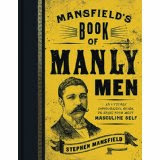 MANSFIELD’S BOOK OF MANLY MEN is a book I am looking forward to giving to my son for Christmas. 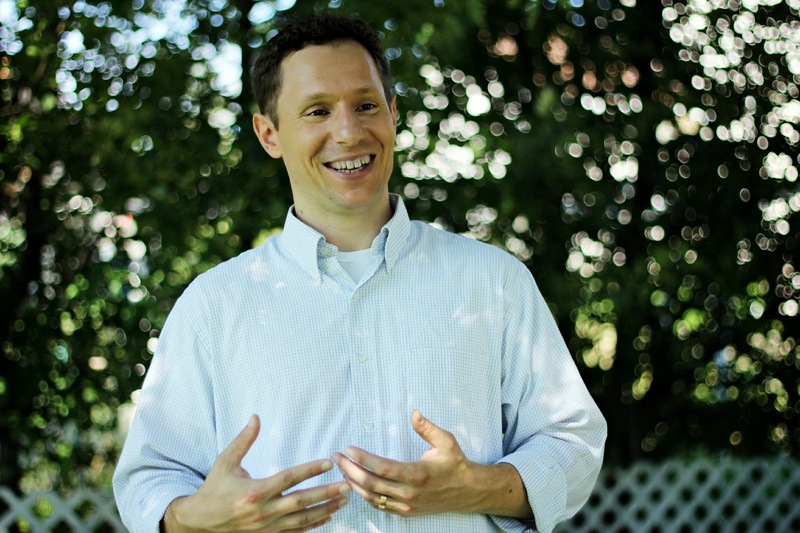 He is the one who discovered Mansfield’s website and frequently visits it, hoping to gain wisdom from a biblical perspective on how to be a man of honor. I knew when I saw this book that he would absolutely love it. Part I includes the “beginning” or introduction, and several maxims. If you are looking for the perfect book to give the young man in your life, especially one who is striving to be someone, then MANSFIELD’S BOOK OF MANLY MEN. $19.99 Hardcover, $12.99 kindle. 304 pages. Charlotte Rose Hill has been serving up country delicacies, uniquely blended teas, and matchmaking advice for her quirky but beloved customers for more than 10 years. But for her, marriage seems like an elusive butterfly, always out of reach. At 18, Charlotte fell in love with a young man, Sam Wilder, but his family convinced her to walk away from their relationship. She did, and then became engaged to another man, who later died before they were married. Now, more than a decade later, Charlotte finds that she still has feelings for her first love. Initially thrilled to learn that Sam has come home to Middlebury, Texas, Charlotte is devastated to learn that he’s brought someone with him: his fiancée. But all is not lost when the townsfolk decide to get involved. Will Charlotte and Sam find their way back to each other? A MARRIAGE IN MIDDLEBURY is a great story. Kind of slow starting, it never does pick up the pace. But it is a sleepy small town comfortable sort of book, perfect to pick up when you are totally stressed and need a quiet sort of book to bring the blood pressure down. It works like a charm. I loved Sam’s quiet, sure, steadfast personality, but was a bit sad that he was prepared to ruin lives by being so honorable. Which isn’t a bad thing, it just sounds that way. I did NOT like his fiancée. She was way needy. I loved the way it played out in the romance department though, and all the characters did some growing up. Multiple romances (at least three, but I might have lost count) are included in this book, with more points of view than the average romance. Well done. Recommended. $14.99. 5 stars. 304 pages. When Christopher Jordan sees the fear in Ashley Wilson's eyes, he knows he can't let her request for help go unanswered. Despite their tumultuous history, he's the only person his ex-fiancée can trust to find her kidnapped nephew. But how can Christopher trust her when he finds out that Ashley's "nephew" is actually his son, the one she never told him about? With a terrorist cell convinced Ashley holds the key to accessing top secret government files, time is running out. And Christopher will stop at nothing to bring their little boy home in time for Christmas. HIGH-STAKES HOLIDAY REUNION is the third in Ms. Barritt’s The Security Experts series. The books Key Witness and Lifeline easily stand alone, but involve the same security company. I enjoyed getting to know Christopher and Ashley. I figured that somehow Ashley was the target behind her brother’s and nephew’s disappearance, so I had to keep reading to see what she did that would bring terrorists down on her head to the point that they’d chase her through a mall filled with Christmas shoppers firing shots. 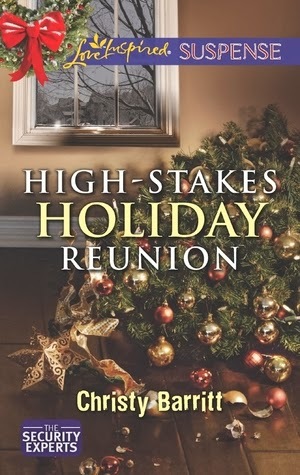 If you like romantic suspense, then check out HIGH-STAKES HOLIDAY REUNION. It has a touch of Christmas, a lot of action, and enough red-herrings to keep the pages turning. $5.99. 224 pages. 4 stars. 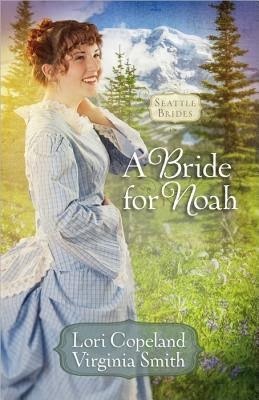 A BRIDE FOR NOAH is a cute historical romance based on the beginning days of the founding of Seattle, Washington. The authors use some real life people and events to set the stage for the fictional characters that come to make Seattle their home—before it’s anything more than a lumber camp. The story starts slowly. But it is engaging. Evie and Noah don’t get along at all, she’s bullheaded and stubborn and he’s trying to keep her safe and out of trouble. An impossible chore, since trouble seems to go looking for her. She has an impossible dream, her supplies are stolen, the Indians are amorous, and … anything that possibly could go wrong does. Noah too is struggling. He wants to be invaluable to the camp and realizes he’s the most expendable man there. He’s just trying to do his job, and he can’t help it that his job seems to thwart every idea that Evie has. One had to keep reading to see if Evie can make her idea pay – or if she’ll be on the next boat out. If you like historical romances, be sure to pick up A BRIDE FOR NOAH. Discussion questions and some of the real-life history and notes are included at the end. $13.99. 320 pages. 4 stars. [November 20, 2013] [New York, NY] -The New York City Leadership Center has joined #GivingTuesday, a national movement to harness the collective power of a unique blend of partners – charities, families, businesses and individuals – to transform how people think about, talk about and participate in the giving season. Coinciding with the Thanksgiving Holiday and the kickoff of the holiday shopping season, #GivingTuesday inspires people to take collaborative action to improve their local communities, give back and help create a better world. As a catalyst for the acceleration of Christian leadership effectiveness and influence in New York City and, leading cities nationally and globally, The New York City Leadership Center (NYCLC) knows first-hand the power of collaboration. The NYCLC joins #GivingTuesday to increase awareness of the strategic impact of NYCLC’s Christian leadership development initiatives—including the Leadership Fellows Program and the Global Leadership Summit (broadcast by Willow Creek Association). The Center seeks to replicate best practices and Gospel Movements to other cities through the Movement Day Congress, and the scripture engagement initiative with American Bible Society. Those who are interested in learning more about The New York City Leadership Center and donating a tax-deductible year-end gift to the Center’s #GivingTuesday campaign can visit our website at www.nycleadership.com. For more details on the #GivingTuesday movement, visit their website atwww.givingtuesday.org. The vision of The New York City Leadership Center is to become a model of Christian leaders impacting the spiritual and social climate of an urban center. Our mission is to exponentially increase the leadership effectiveness of ministry and marketplace leaders. Please visit our website at www.NYCLeadership.com. From #1 New York Times bestselling author Karen Kingsbury comes a dramatic story about fame, true love, and the cost of having it all. Zack Dylan made a promise to God and his college sweetheart as he left his family’s horse farm in Kentucky to compete on the popular reality television show Fifteen Minutes: If he makes it, the fame won’t change him. Overnight, Zack is the nation’s most popular contestant, a country singer with the looks and voice of a young Elvis. As his star rises, Zack is asked to compromise and quiet his beliefs, and also some­thing more. Something Zack could never have imagined. Just as America is falling in love with Zack, just as he’s on the verge of winning it all, his choices lead him to the brink of personal disaster. At the same time, Reese Weatherly, a thera­peutic horse instructor, is no longer sure about her relationship with Zack, or the wedding they had dreamed about. While Zack advances from one round of the competition to the next, an offer comes to Reese—one that will take her to a home halfway around the world. Then Chandra Olson—reigning diva pop star and one of the Fifteen Minutes judges—intervenes. Chandra has suffered so much public pain and pri­vate agony since her days as a Fifteen Minutes contestant. Now she wants just one thing: meaning. I have one word for FIFTEEN MINUTES. Wow! That’s all I can say. I loved this story, I love Karen Kingsbury’s books, and I loved the characters. Even the ones that have clearly lost their way became real to me on the pages of this book and I felt their pain. I wanted Zach to stand up for his beliefs, for his love for Reece, for his convictions. I wanted Chandra’s life to have meaning again. She gave up so much for her career. I thoroughly enjoyed FIFTEEN MINUTES. If you like contemporary stories, love Karen Kingsbury, or wondered about the reality behind a reality talent show, then FIFTEEN MINUTES is the book for you. 5 stars. 384 pages. $22.99 hardcover, $15.99 paperback, $9.99 kindle. Also available in audio. ALOHA ROSE exceeded my expectations. As book twelve in the Quilts of Love series, a collection of stories written by different authors about quilts and how they are the threads that hold a family together, this book was just head and shoulders above most of the others I’ve read so far in this series. Both Kai and Laney are survivors. Both abandoned as children, Laney’s mother leaving her on a doorstep, and Kai’s mother murdered in his presence. Plus, Kai is suffering for PTSD, a result of Afghanistan. But while Kai knows his history, Laney has no memory of it. Only what she has been told or “knows in her heart.” And some of what she “knows” is lies. There was a twist in this story—but I saw it coming way before it happened, so it wasn’t a big surprise. I thoroughly enjoyed this book. Great tension between Laney, Kai, and her family. I wanted the sexual tension to be a notch or two higher, but it was there as well. If you enjoy contemporary romances then ALOHA ROSE is a book you’ll want to read. It will warm your heart in more ways than the Hawaiian sunshine. Meet the author: Lisa Carter has been published in MomSense andChristian Parenting Today. Lisa is currently teaching music at a preschool and enjoying the enthusiasm and joy for life for which preschoolers are famous. She and David have two beautiful daughters. It is 1864 and the nation is torn apart by civil war when Heather Worth discovers she is with child. 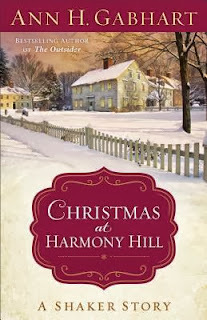 With her husband at the front and nowhere else to turn, she seeks refuge in the Shaker village of Harmony Hill. Amid the tumult of the times, Heather yearns for the peace she sees in this strange community. But can this longing really be fulfilled amid these people with their peculiar beliefs about family? As Christmas approaches, the joy of new life and the love that is born of forgiveness may hold the answer. CHRISTMAS AT HARMONY HILL is set half on the battlefields of the south, and half in a Shaker Village. Heather married a Union soldier, going against her father’s wishes, especially after Heather’s brother signed up to fight with the southern army. With the family torn asunder, the father disowned his oldest daughter since she married the enemy. With nowhere to go, Heather trailed the Union soldiers as a washerwoman to be near her husband until time was near for the birth of her baby. Gideon didn’t want his child born on a battlefield. Heather heads home to her mom, but finds she will have no refuge at home. Her mom left her a letter telling her to go to the Shaker Village and find her great aunt. Heather does so, but finds the Shakers not at all what she expects. Will trials and battles both for Gideon and Heather, will there be a happy ending for Christmas? I thoroughly enjoyed reading CHRISTMAS AT HARMONY HILL and if you like historical stories, then you won’t want to miss this book. So far this has been the best of all the Christmas stories I read this season. This book would make a wonderful gift for the historical reader on your Christmas list—or for yourself. $15.99 hardcover. 9.99 kindle. 208 pages. 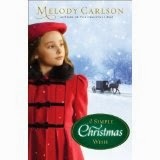 A SIMPLE CHRISTMAS WISH is Ms. Carlson’s newest Christmas book. I look forward to her Christmas novellas every year. This story combines Christmas, English and Amish in a story that is sad at times, but wonderful to see Christmas and living with Amish through the eyes of the child. Ms. Carlson’s stories that I’ve read this year seem to be more told than shown, so there is a distance between the reader and the story. I would have loved to see more of the budding romance in A SIMPLE CHRISTMAS WISH, but the promise of one was nice. If you are looking for a new Christmas book, then A SIMPLE CHRISTMAS WISH is one to consider. $15.99 hardcover. $8.76 kindle. 176 pages. 4.5 stars. Annie's life is deliciously full as the Christmas season approaches. She helps her husband, Samuel, attend to the community's minor medical needs. She occasionally assists Belinda, the local midwife, and most days, she finds herself taking the buggy to her brother Adam’s home. Annie’s sister-in-law Leah is due to deliver their first child before Christmas morning, and Annie is determined to finish a crib quilt before the boppli arrives. With six weeks to go, she should have no problem . . . but God may have a different plan. Leah is rushed to the English hospital when the infant arrives early, and Annie discovers the Christmas quilt may hold a far greater significance than she ever imagined. THE CHRISTMAS QUILT is part of Abingdon Press’ Quilts of Love series, yet it is a sequel to Ms. Chapman’s first Amish novel with Abingdon, A Simple Amish Christmas. It was nice to catch up with the characters in that first book. Both Annie and Leah are expecting babies – Leah, twins. But when an unhappy sister-in-law, marital problems between Leah and Adam, and other issues to deal with, the weeks following Thanksgiving are anything but peaceful. Instead, family strife rules, emotions erupt, and everything is harder than it needs to be. 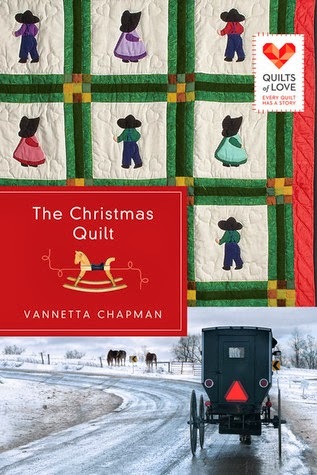 I did enjoy reading THE CHRISTMAS QUILT, it was a sweet Amish Christmas story. Discussion questions are included at the end of the book. $12.99. 256 pages. Our God Comes CD and giveaway!